PATUWAI - BY THE WATER - is an awesome kiwi holiday home with sleep out. Plenty of off street parking - so bring the boat! Filleting, cleaning and smoking facilities available for the days catch. For larger groups, packages will be made available on a per family or per individual basis. We welcome all enquiries, so what are you waiting for? Tailored packages are available for both small and large groups (please enquire) to provide flexibility. Standard accommodation includes the House and sleepout, comprising 6 bedrooms (sleeping 14 comfortably with additional pull out bedding) and 3 bathrooms. Under five years of age are free. Pets may be allowed by special arrangement. Property inspection welcome prior to booking. Great bach. Lovely spot close to beach. Would stay here again. Had a great stay over the weekend for a family wedding. Perfect location and lots of room for a few families to stay. Highly recommend this place and we will definitely be back! You are more than welcome to rebook at any time. Our holiday home is also cosy in winter with an awesome fireplace. I know Mysky has been well received. We loved our stay in this very tidy and spacious holiday house. It was well equipped with everything we needed. 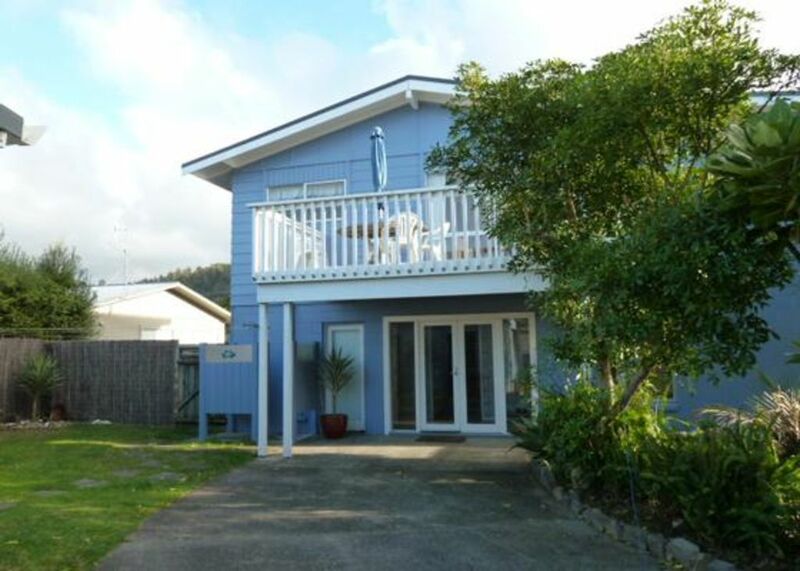 Super handy location being right by the estuary and only a short walk to the beach. Would chose this house again. Great set up for a larger group. Excellent location at quieter end of the beach. Definitely recommend. This is a great family batch. Perfect for a group of people wanting to come together in Whangamata. It's in a great location and I wish we stayed longer! We highly recommend this batch to anyone looking for somewhere to stay in Whangamata. The hosts were great at communicating and helpful with all our requests.